Sandra J. Jackson was born in Montreal, Quebec. She now resides with her husband and two young adult children in a rural setting in Eastern Ontario. With several stories in various stages of completion, Sandra made a decision. 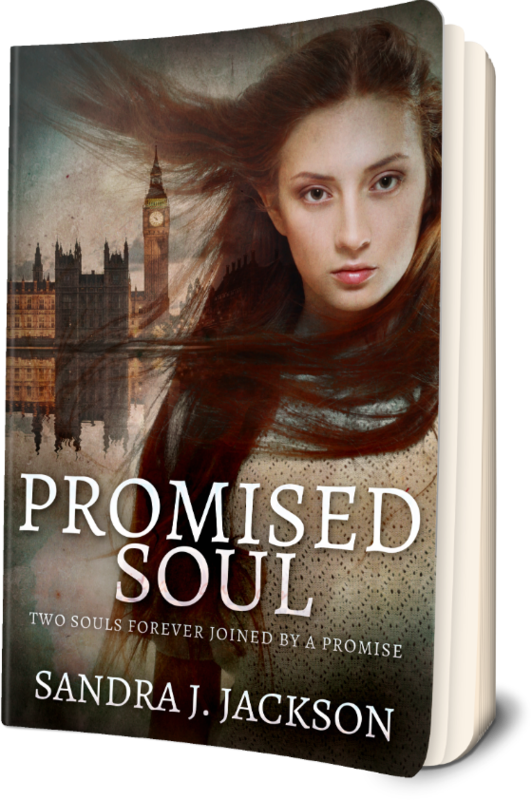 Armed with her experience of travelling to the east coast, her wholehearted belief in soulmates and the draw she has always felt for the UK, Promised Soul was born. 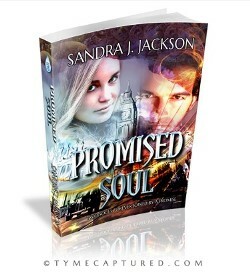 Promised Soul can be purchased on Amazon, Barnes & Noble and other fine bookstores in e-book and paperback formats. So funny you should post that. I was just thinking as I was reading a blog if anyone was Canadian! Thanks for the nomination. I will try and do this. I know Ellen Hawley and Let’s Cut the Crap! Thank you so much for following my blog! I am currently on vacation and will be posting again at the end of July when I return home. Welcome to my blog Reflections! Thank you, Cathy. I will take a look later today. In my way to work now. Hi Cathy, sorry it took me a while to respond. I followed you back right after you sent me your message. Have a good night! Glad to have you back Sandra!! You have a good night too. C.
Thanks so much for stopping by, and most importantly, the follow. I am headed over to Amazon to download your book; I look forward to reading it. Thank you! I hope you enjoy the story. Have a great day! Look forward to reading more of yours too. Have a great day! Hi Annie, Thank you for your nomination. I will try and get to it in the next couple of days I have another one I was nominated for about 3 weeks ago so I will do both at the same time. Thanks again and have a good night. Congratulations on your well-deserved honors! Hi Kay, Thank you, I will take a look. Nice to meet you. I look forward to your blog posts. Hi, happy to meet you. I look forward to your blog posts. Thank you for the shout out! Hi Sandra, Thank you for following my photography blog, Jane’s Lens. I hope you enjoy my work. Congratulations on your new book! Thanks for visiting and following The 3rd Drawer Down. I hope you like all my “other stuff”. thanks for reading and hitting the follow on pensitivity101. Hope there are things of interest fro you here. There’s a bit of a hotch potch of subjects! Enjoy!! And thanks for taking a look at Modes of Flight. Thank you for visiting and following my blog. I have returned the favor, and I wish you much success in your writing!